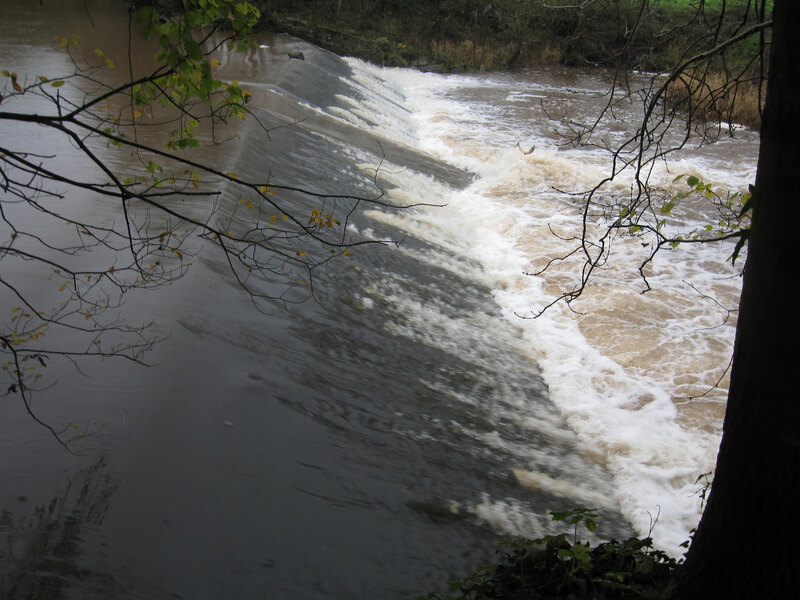 Kentchurch Weir was one of the last two remaining milling weirs on the River Monnow, a tributary of the River Wye in southeast Wales (within the Severn River Basin District). Over the past century, ten weirs in this tributary were destroyed during floods or they were removed. Originally, the weir supplied water to a local mill. But for the past 40 years it has not supplied water and has deteriorated due to lack of maintenance showing signs of breaching on both banks. The weir prevented upstream migration of fish in the catchment, thereby excluding diadromous fish from approximately 100 km of functional habitat. The weir was located in a very rural area and its removal was proposed by the owner of the structure and supported by the owner of the adjacent land and river users. 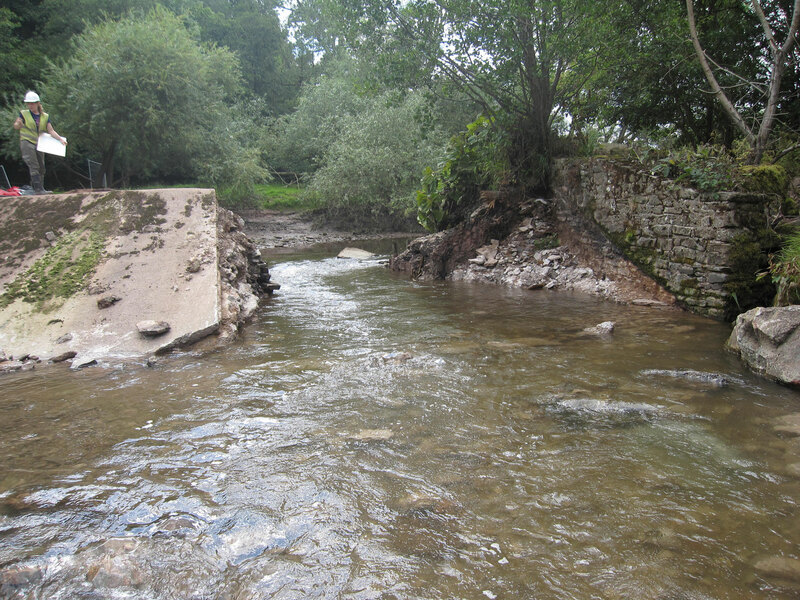 Removal was carried out using standard techniques: a partial breach of the weir and gradual lowering of the upstream water level and removal of some of the stored sediments. 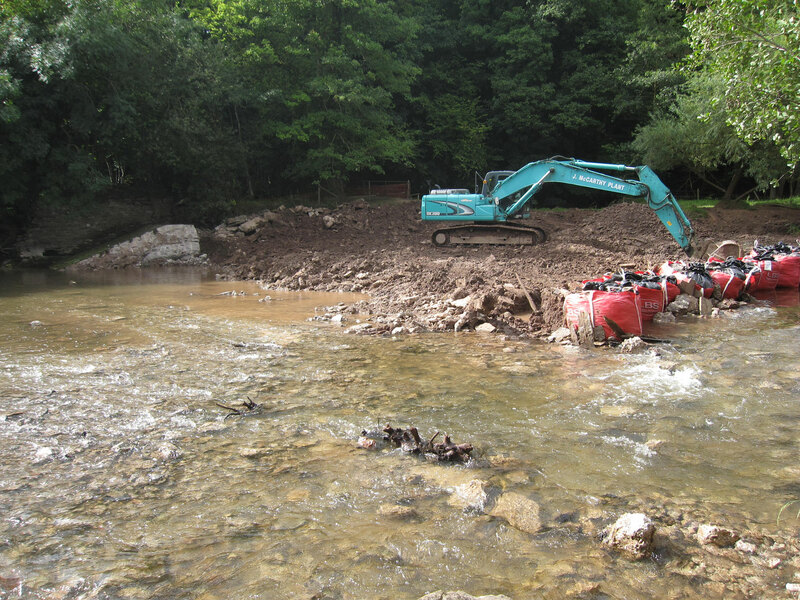 The remainder of the weir was then removed, whilst ensuring minimal disturbance of stored sediments. Good communication with river users, including trout anglers, was maintained throughout the project to ensure thorough briefings on progress and outcomes. Good relationships were maintained throughout the whole project process. Routine fish surveys prior to removal confirmed the absence of salmon upstream. 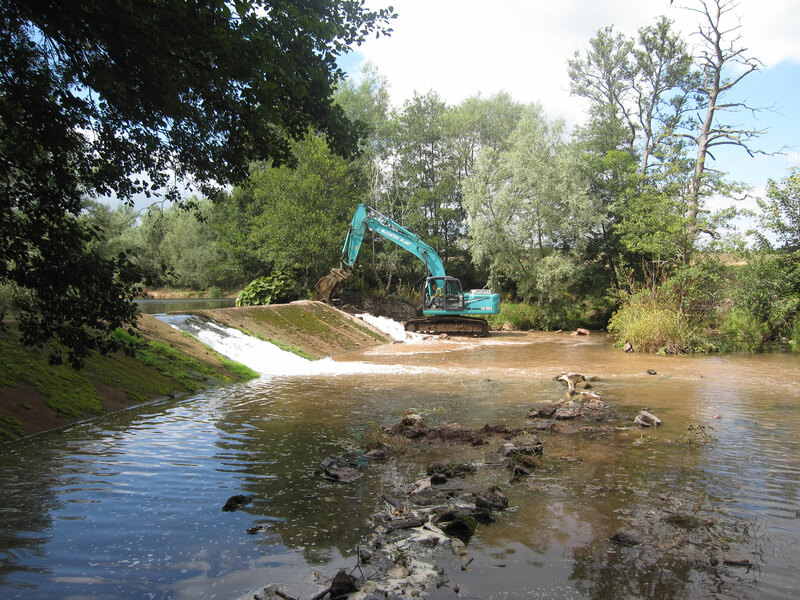 Following construction of a nature-like fish pass around the other main-stem weir three years earlier, migrating salmon had been observed leaping at Kentchurch Weir but failed to ascend it. The absence of progeny upstream confirmed that they were not able to further ascend the river. Surveys after removal showed that adult salmon ascended the site at the first opportunity and juvenile salmon were observed at all except 1 of the 10 monitored sites. Young eel were also widely distributed. The river after the removal of the dam: year 1 (source: P. Gough, NRW). The effect of weir removal on sediment fill and river channel morphology was studied after removal and showed significant change to the river morphology with bank erosion and a sediment-wave effect. The materials were re-distributed and channel widening occurred as the river reverted to its earlier natural state (Thomas et al., 2014), and the impact of earlier river diversion was ameliorated. 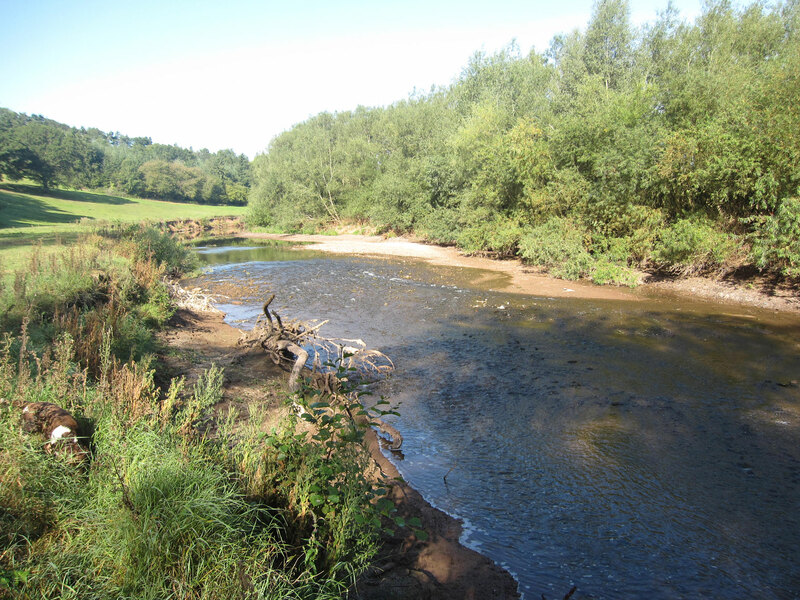 The ecological status of the River Monnow was constrained by barriers to fish migration and diffuse pollution from intensive agriculture and excess nutrients. 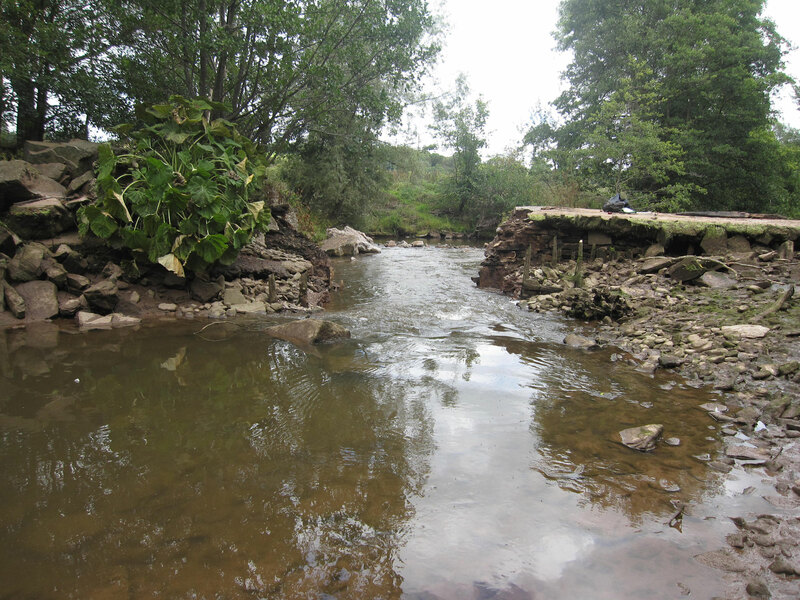 In this case study, the removal of the dam restored connectivity for migrating fish and eliminates loss of connectivity as a potential cause of failure of upstream water bodies. The inevitable improvement to fish migration and distribution was forecast and has since become apparent. However, in this case, monitoring was focused on hydromorphological processes, as more persuasive case studies are urgently required in this area. 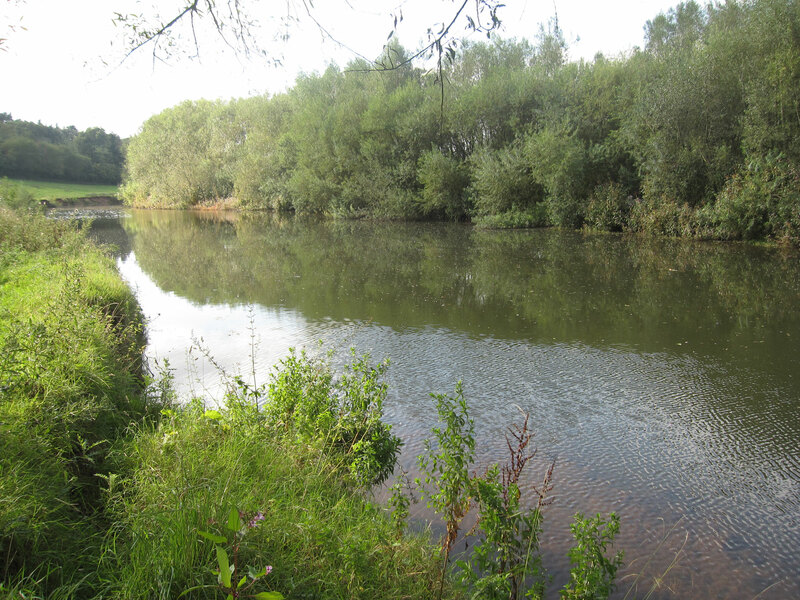 It was shown that the river’s re-naturalization was rapid and contributed to the achievement of relevant ecological targets.